This hard oval pool cue case has a navy blue vinyl exterior. It will hold two pool cues. The lid is closed with a zipper. The interior of the case has four felt-lined rigid tubes to greatly protect the shafts and butts. 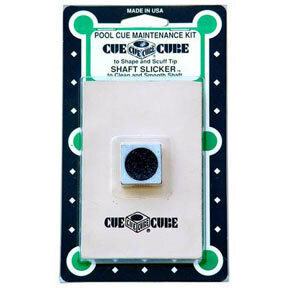 This cue case has a top accessory pouch measuring 6" x 4". A larger pocket on the bottom measures 14" x 4". Between the pockets is a padded nylon handle. There is an adjustable shoulder strap for carrying convenience.